Buyer Traffic Graph in the last quarter (to mid year 2016). Yes… Existing home sales shot up in 2003-2005. But, if we look at where they were from 1990 to 2001 and where they are now, we’re in a natural course based on population increases and people still wanting the American Dream. New existing inventory just the last twelve months has fallen off because people are starting to buy new homes rather than existing home inventory. 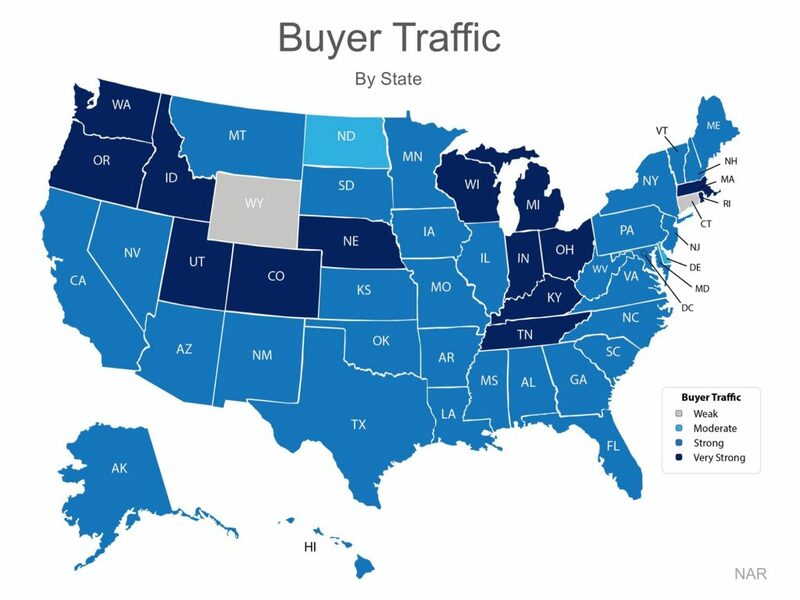 Let’s take a look at buyer demand across the whole country outside of Wyoming on the graph above. This graph shows Buyers looking at homes (not just buying but out there looking). This shows what’s COMING SOON as buyers often looks 6-12 months before they buy. This graph shows that Buyer Traffic is very, very strong. The time to sell your home is now when you have very strong buyer traffic! Let us know if we can be of help!